We all need support once in a while. We’re here to connect you with links to useful advice, information and support. TEDTalks is a daily video podcast of the best talks and performances from the TED Conference, where the world’s leading thinkers and doers give the talk of their lives in 18 minutes (or less). We’ve found a wonderful selection of parenting information. To see more videos on parenting, visit the Parenting Success Network’s YouTube page. 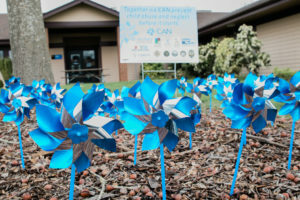 The LBCC Parenting Education Department is throwing our support behind this campaign, and we have planted a pinwheel garden on the corner of our lot at the Luckiamute Building. 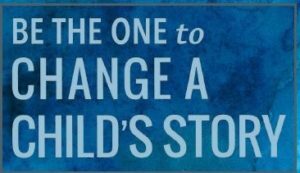 We are grateful for this opportunity to express our concern about child abuse, but also our hope for the future. Come down to Luckiamute to see our Pinwheel Garden!! Our own Aoife Magee, PhD, was invited to give a presentation at the Clackamas County Department of Public and Government Affairs in Oregon City. 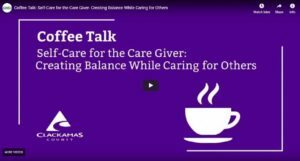 The “Coffee Talk” presentation was entitled, “Self-Care for the Caregiver: Creating Balance while Caring for Others”. The presentation was captured on video and uploaded to YouTube. To watch the video, please click here. Congratulations to Aoife for being asked to participate! Parenting Educator Celebration – Save the Date! To download an English event flyer, please click here. 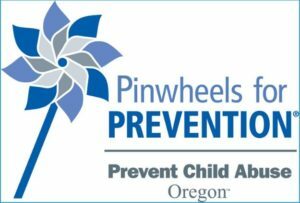 National Speaker to Address Linn-Benton Families – Save the Date! Please reserve Monday, May 20, 2019 for the 6th Annual PSN Speaking Event! 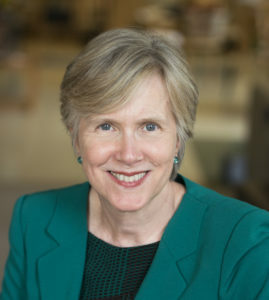 This year our speaker will be Dr. Ann Masten, a Professor of Child Development from the University of Minnesota who studies resilience in human development, particularly in the context of poverty, homelessness, war, disaster, and migration. Dr. Masten will be the keynote speaker at the OSU Parenting Educator Conference earlier in the day, and then will be coming over to LBCC and addressing local parents at the Tripp Theater on campus. The event will begin at 6:30pm, and will include free child care for those who call ahead and reserve it. Spanish interpretation will also be available. 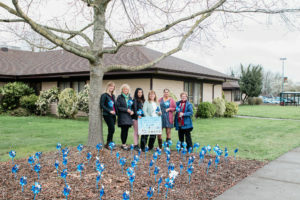 The March 2019 issue of the Oregon Parenting Together Newsletter has arrived. This issue features articles about the benefits of having a positive bedtime routine, including what that looks like, how to pick a reasonable bedtime, how to be consistent, and a few notes on naps. To download the English newsletter, please click here. To download the Spanish newsletter, please click here. The Health Departments from Linn, Benton and Lincoln Counties are working together on a campaign they call, “One Caring Person”. 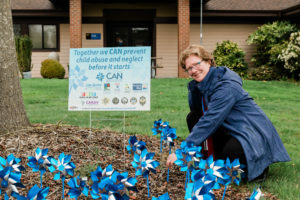 The campaign is hoping to improve a child’s opportunities to overcome trauma and ACEs by learning to cope with stress, practicing calming techniques, engaging kids in age-appropriate volunteer service to the community, making time for fun and activities that kids enjoy, building resilience, and increasing opportunities for kids to connect with caring adults. Below are the flyers that the Health Departments and the IHN-CCO are distributing throughout the community. Please take a look and see if this is something you might be interested in participating in. To download an English flyer, please click here. To download a Spanish flyer, please click here. To download an Educator flyer, please click here. Real people, expert advice. Help locating classes & resources right for you. Monday -Friday 9 AM – 2 PM. Read our ‘Parenting Tips’ blog with helpful info to make your job as a parent easier! Want to help us support more parents in our area? Here’s your opportunity to contribute. Find out the latest in local events and classes for fun and to support you as a parent! Take a look at our calendar of classes and events!